Eighteen-year-old mother from Oklahoma, now a California migrant. Photo by Dorothea Lange, courtesy of Library of Congress. Was now a rippling ocean of dust the wind had blown. It covered up our tractors in this wild and windy storm. We rattled down the highway to never come back again. 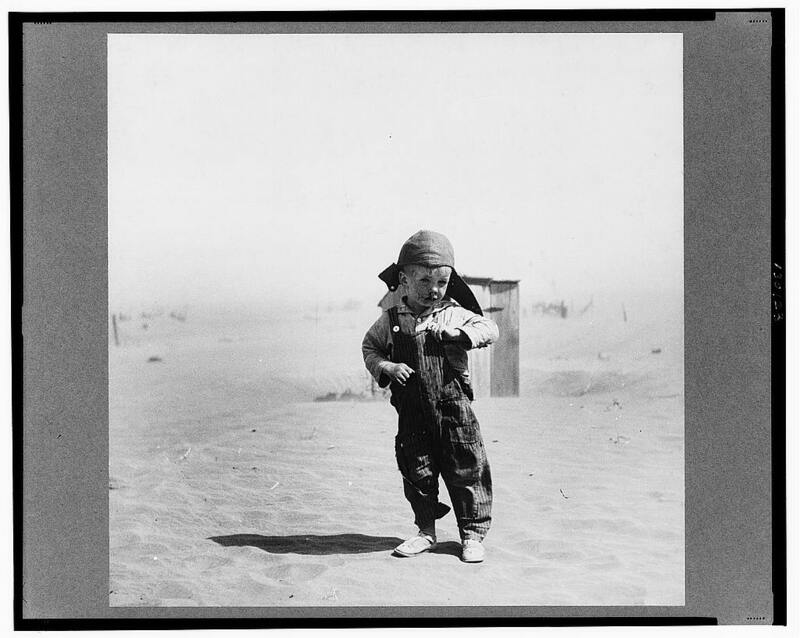 The ballads of Woody Guthrie, the novels of John Steinbeck and the WPA photographs of artists such as Dorothea Lange have embedded images of the Dust Bowl in the American consciousness. Introduce this dramatic era in our nation's history to today's students through photographs, songs and interviews with people who lived through the Dust Bowl. Help your students understand the problems Americans were facing during the Great Depression. Stein, R. Conrad. The Great Depression. N.Y.: Children's Press, 1993. Guthrie, Woody. This Land Is Your Land. Illustrated by Kathy Jakobsen. A Teacher's Guide to Folklife Resources for K-12 Classrooms. Prepared by Peter Bartis and Paddy Bowman, American Folklife Center. Washington: Library of Congress, 1994. John Ford's classic film of John Steinbeck's The Grapes of Wrath is widely available for rental. The video may also be available at your local public library. Review each lesson in this unit and select appropriate archival materials to use in class discussions—particularly for Lesson 1. Bookmark them, if possible; download and print out the selected documents and duplicate copies as necessary for student viewing. Activity 1. What Happened Here? The destructive wind storms that hit the plains of the American West in the 1930s rank among the greatest natural disasters of all times. 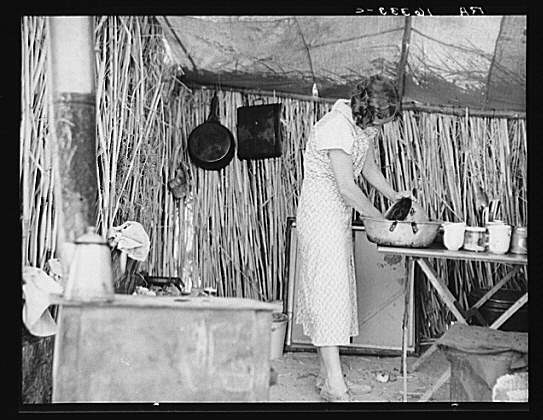 Because they occurred in the midst of the Great Depression, dealing with the dust storms was all the more difficult. To introduce this activity, tell the students you are wondering whether the classroom needs a good clean up. Give them a chance to look for dust in the room. Do they think there is a potential "dust problem"? How bad could it get? If it were 10 times worse, how would it affect activities in the classroom? What if it were a hundred times worse? Could it ever get that bad? Worse? Where was the Dust Bowl? 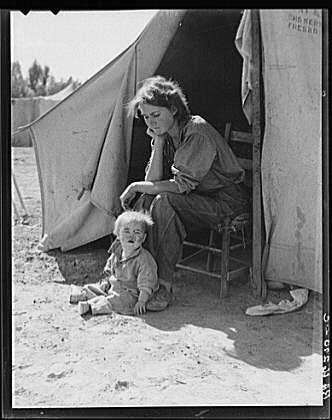 How were people affected by the Dust Bowl? What did the people who were affected by the Dust Bowl do? What did the United States government do? 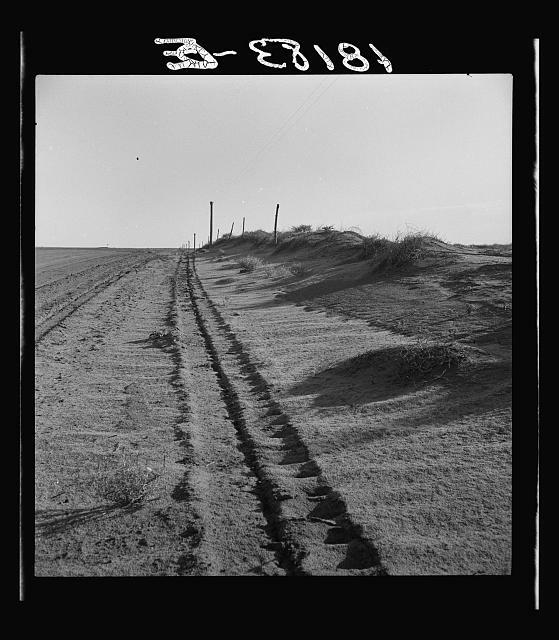 What can the students learn about the Dust Bowl — something that happened in the U.S. during the Great Depression of the 1930s — from these documents? Students should form hypotheses to answer the questions. Succeeding lessons in this unit will provide materials with answers to these questions; correct hypotheses can be shared with the class at that time. For to buy some gasoline. And you people know we can. They say it don't know how. You can pick the whole year round. You can sleep right on the ground." Now I can't get away. "I'd Rather Not Be on Relief"
With half enough to eat. There's nothing left for rent. We'd dress up in new duds. Are worse off than a bum. Can live on a buck a day." Or even a feather bed. While our families are underfed. While we're waiting for spuds to come? I'll bring my song to an end. Where the howling wind comes in. I'll tell you all about it, I've joined the C. I. O. "Why We Come to Californy"
Activity 2. What Was the Dust Bowl? Discuss the students' hypotheses about this question from Activity 1. 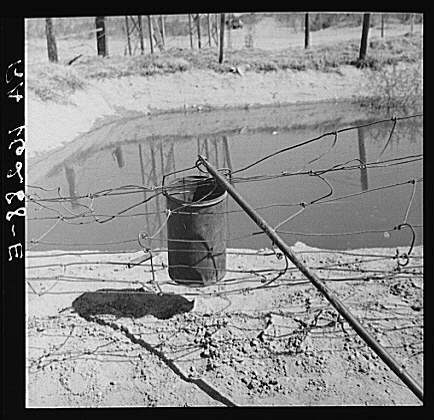 Then share with the students a Basic Account of the Dust Bowl, available on Encarta, a link from the EDSITEment resource Internet Public Library. Activity 3. Where Was the Dust Bowl? Discuss the students' hypotheses about this question from Activity 1. Have students locate on a classroom map the states in the Dust Bowl region. Share with the class a Map of Dust Bowl, available on American Experience, a link from the EDSITEment-reviewed website River of Song. Activity 4. How Were People Affected by the Dust Bowl? Discuss the students' hypotheses about this question from Activity 1. Remind students of the previous discussion about dust in the classroom. Of course, the classroom often could use some sprucing up, but for people living in the Dust Bowl region, dealing with the dust and its ramifications became the center of everyday life. Review material here such as Interview about dust storms in Oklahoma, available on the EDSITEment-reviewed website American Memory (Audio File), and photographs like Abandoned farm in the Dust Bowl. 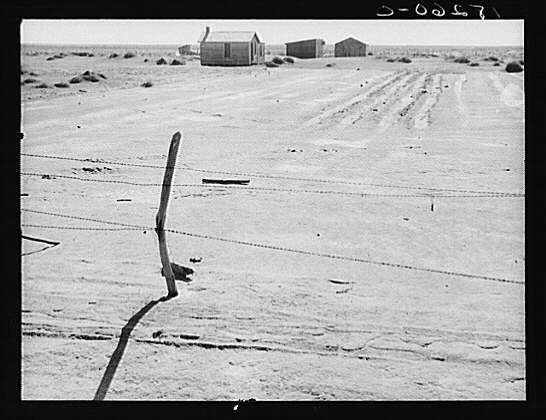 Coldwater District, near Dalhart, Texas (photograph by Dorothea Lange), available on the EDSITEment resource American Memory, and Abandoned house, Haskell County, Kansas (photograph by Irving Rusinow, April 1941), available on the EDSITEment-reviewed website The Digital Classroom. Activity 5. What Did They Do? Discuss the students' hypotheses about this question from Activity 1. 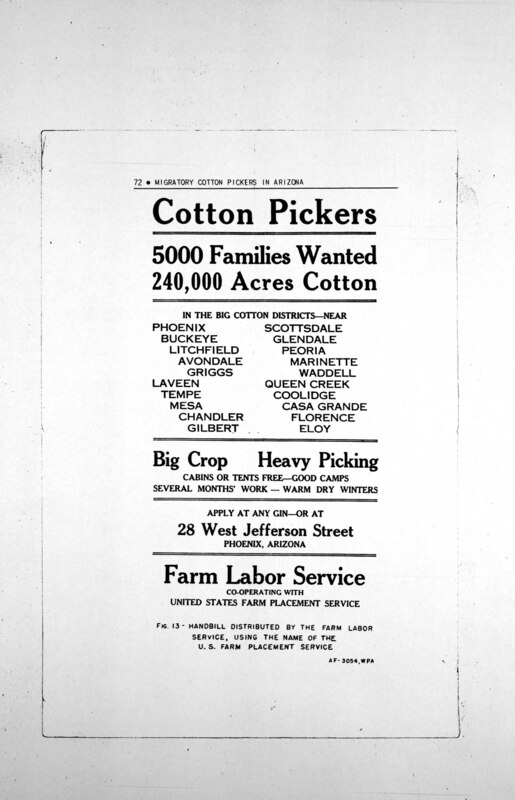 Flyer Publicizing a Need for Cotton Pickers, a poster available on the EDSITEment-reviewed website American Memory that encouraged farmers from the Dust Bowl region to migrate to the West. Some people received assistance from the government. This editorial cartoon Sure, I'll Try Anything Once!, available on the FDR Cartoon Archive, a link from the EDSITEment resource American Memory, shows not only a farmer accepting relief but also his reluctance to do so. Some people simply did the best they could. An Eyewitness Account, available on American Experience, a link from the EDSITEment resource River of Song, features excerpts from the testimony of a witness, accompanied by photographs. 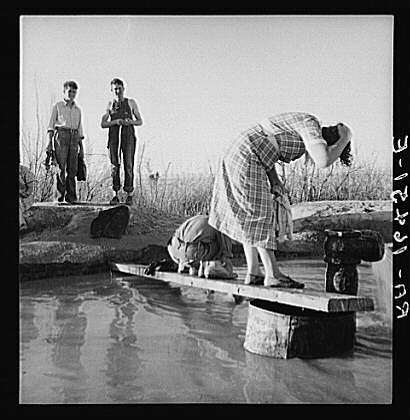 For more in-depth information, a complete transcript of PBS interviews with witnesses to the Dust Bowl is available on American Experience, a link from the EDSITEment resource River of Song. Activity 6. What Did the United States Government Do About the Dust Bowl? Discuss the students' hypotheses about this question from Activity 1. Use the Timeline of the Dust Bowl, available on American Experience, a link from the EDSITEment resource River of Song, in your discussion of events related to the Dust Bowl. The timeline emphasizes actions taken by the government to provide relief to victims of the Dust Bowl. The government worked to improve the agricultural practices of those in the affected areas. The poster "Plains farms need trees: Trees prevent wind erosion, save moisture ... protect crops, contribute to human comfort and happiness" was part of a campaign to improve farming practices (search for the poster by its exact title on the EDSITEment resource American Memory). The government also provided direct relief to farmers, gave work to the unemployed on government projects, and helped improve conditions for migrants. The following photographs, all available on the EDSITEment-reviewed website The New Deal Network, illustrate these actions. Letter writing was a more important pastime before the telephone became ubiquitous and before e-mail and other innovations provided other avenues of communication. Share with the class the Letter to Mrs. Roosevelt from a Dust Bowl sufferer, a letter from a 13-year-old boy, available on the EDSITEment-reviewed website The New Deal Network. Note that the letter is written in dialect and that the spelling and grammar are often incorrect. Nevertheless, the desperate situation of the writer is communicated. Letters should include some facts the students have learned about the Dust Bowl. Give the students the opportunity to share their letters either by reading them aloud or posting them on the bulletin board. The EDSITEment lesson I'm Gonna Sit Right Down and Write Someone a Letter provides additional information and activities on letter writing. Students could create a multimedia presentation about the Dust Bowl. For example, a transcript such as Interview of a Migrant, available on the EDSITEment resource The New Deal Network, could serve as the basis for a dramatic reading. 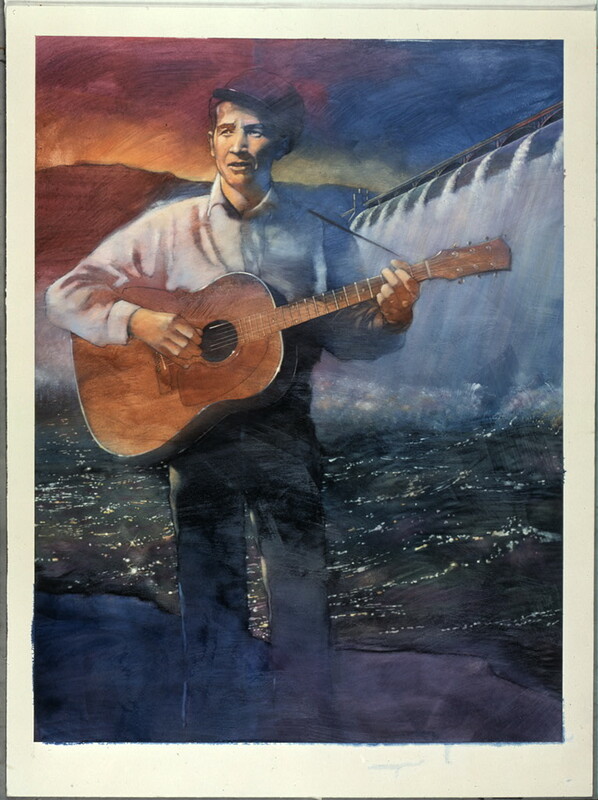 Expand the performance with photographs and songs from the era, such as those by Woody Guthrie. The Great Depression was a central event in the lives of many who lived through that era. Many such individuals live in your community. Students could conduct an oral history project similar to that conducted by an eleventh-grade class — We Made Do: Recalling the Depression, available through the EDSITEment-reviewed website The New Deal Network. Hugh Hammond Bennett -- A brief biography of an advocate in the Roosevelt Administration for soil conservation. Bam White -- A profile of the unlikely star of a documentary on farming practices in the Dust Bowl region. For further information, contact a Soils Conservationist or Extension Agent. This "subject matter expert" could visit the class or serve as a resource for students. List problems ordinary Americans faced during the Great Depression. Cite examples of the attempts of the government and citizens to solve these problems. What can be learned from photographs, songs, interviews and other archival documents from the Dust Bowl era?